Metal-Expo is the opportunity to develop and maintain cooperation in the Russian market. This year, more than 30,000 professionals and 550 companies from 32 world countries participated in the event. It gathered in one place more than 250 steel producers from and outside the CIS, as well as end-users of ferrous and non-ferrous products from various industries including construction, power and engineering complex, transportation and logistics, machine-building, etc. 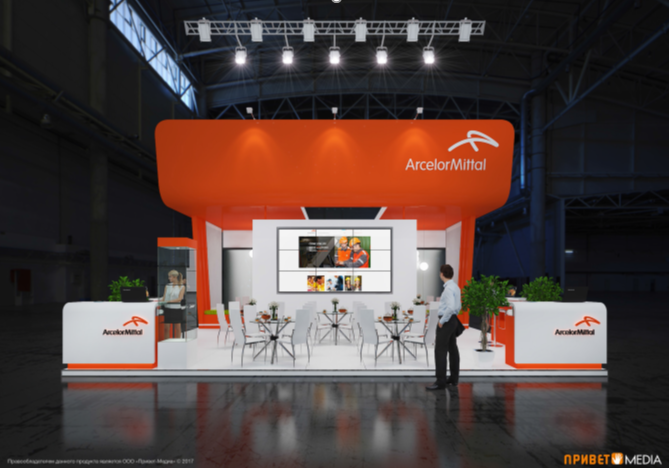 Metal-Expo was also an opportunity to promote ArcelorMittal’s latest developments in coatings: Granite® Deep Mat 2.0, Granite® Storm fine texture and Granite® Quartz with polyurethane. Metal-Expo exhibits the whole range of ferrous and non-ferrous products, the most state-of-the-art equipment and solutions for steel products manufacture, metalworking, and steel service centers. Over its 20-year history Metal-Expo has established itself among the biggest industrial events as the main business platform for all the steel industry professionals and the leading Russian and international ferrous and non-ferrous producers.